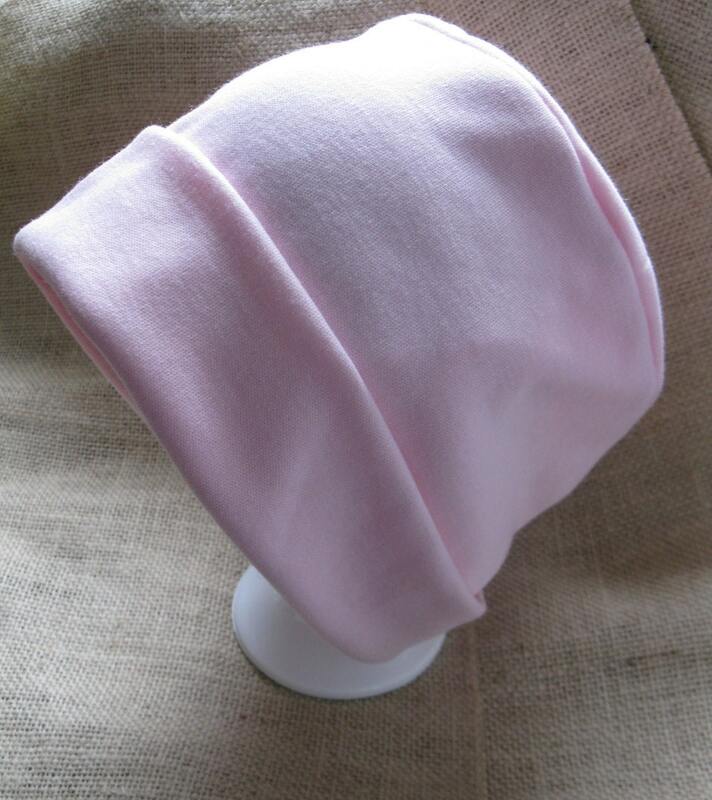 Pink, comfy hat that is soft enough for those undergoing chemotherapy treatment. My hats are like wearing a favorite t-shirt on your head or in my case, a favorite tshirt dress. This super soft light pink fabric jumped off the bolt at me. It reminded me of a super comfortable tshirt dress I wore nearly every day when I was pregnant many years ago. I borrowed the dress from a friend, and hated to give it back because I kept wearing it...it was that comfy. This hat is stretchy and will fit head sizes 21 to 23 inches. Please contact me for custom sizes. My hat is handmade from new high quality cotton blend knit material cut right from the bolt and is made from a pattern I designed which takes advantage of the qualities intrinsic to the fabric. This material is 60% Cotton, 40% Polyester. Machine Wash Cool Delicate, No Chlorine Bleach, Line Dry . Quick ship and a very nice cap. 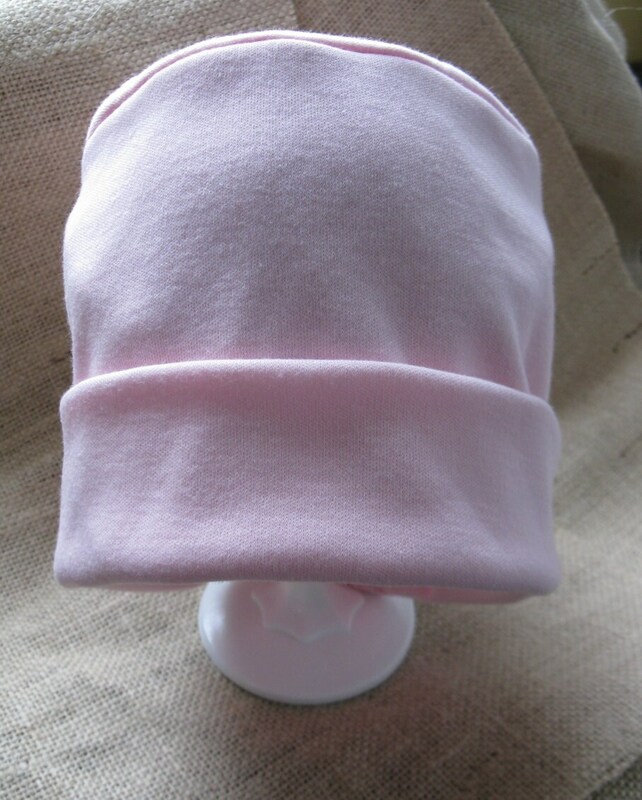 Very soft and comfy hat! I am using it as my night time hat as I am now bald from chemo, and it is very warm and I don't mind wearing it while I sleep! I love this hat! It’s so soft and comfy.